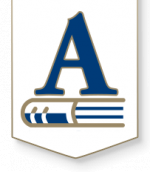 Are you new to the Andover School district and have a child that will be attending Robert M. Martin Elementary for the 2019-2020 school year? If so, please use the link below to complete the Intent to Register to complete the first step of getting your child enrolled for this fall. You will be asked to submit additonal information during Registration this summer. Online registration is scheduled to begin on July 23rd. These documents can be dropped off at the school, mailed to the school, or emailed to our registrars at whitneyl@usd385.org and/or albrighs@usd385.org.